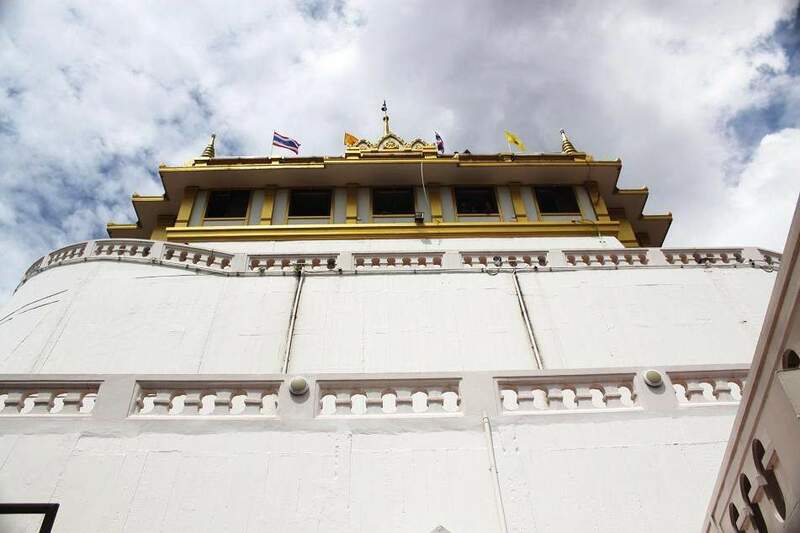 Golden Mountain: A Peaceful Oasis at The Heart of Bangkok | What an Amazing World! Tired of scams and touts in Bangkok’s favorite landmarks? Golden Mountain might be the place that you want to go to. 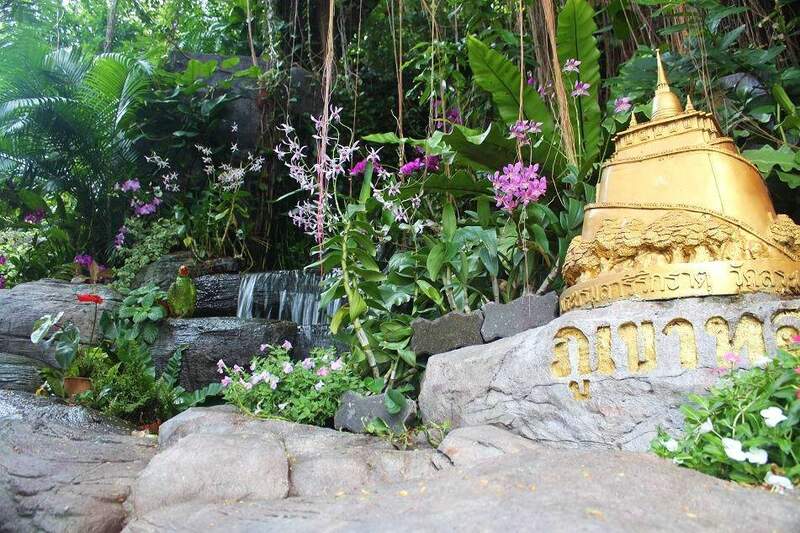 Located not too close from The Grand Palace, but still walkable (about 30 minutes walk from The Grand Palace), Golden Mountain is an oasis in Bangkok. Well, figuratively speaking, it really is. Golden Mountain is actually an artificial hill which was built with high wall and stairs circling the wall. 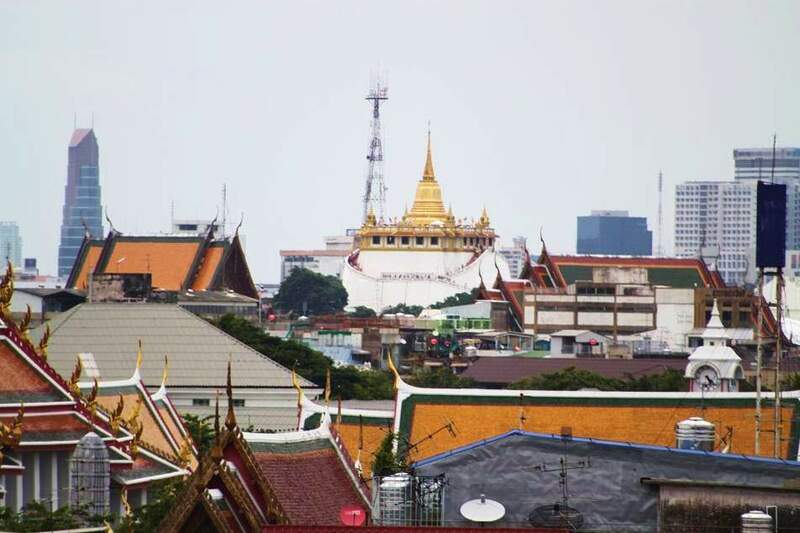 On the top of it, you can find the golden chedi of Wat Saket. It might not be easily found, therefore it is no big surprise that not many tourists come to this place. But as soon as you get there, lush garden which surrounds the stairs and small waterfall welcome you. 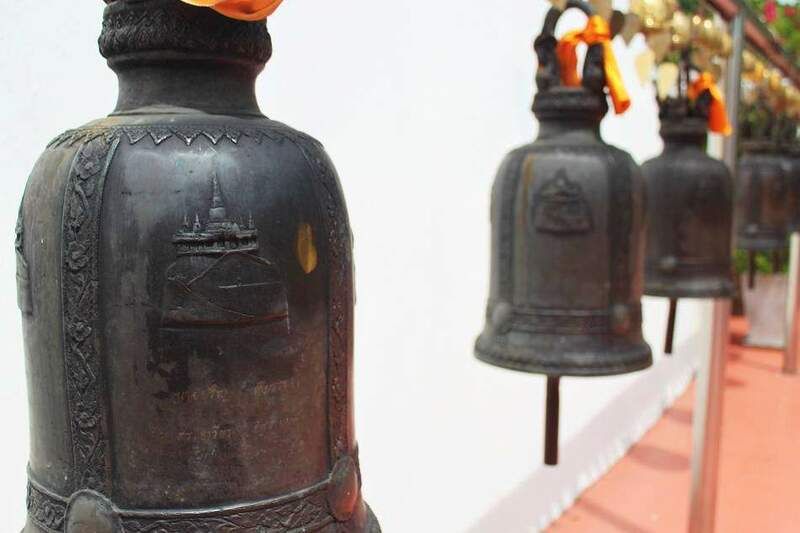 While climbing the stairs to get to the top, rows of medium-sized bells, engraved with Golden Mountain’s picture, await everyone who pass through them to ring every single bell. At the end of the rows, a large gong swings back and forth as people grab a big bar to hit the gong. The sound of all instruments there is electrifying yet soothing, I must say. 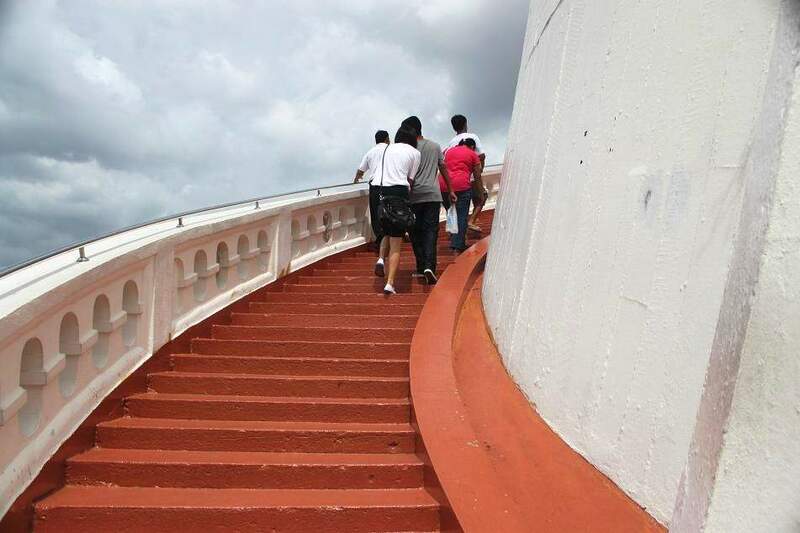 When you reach the top, go inside the wat and find a sign that says which way to go up. Climb some more stairs, and voilà! You are on the top of Golden Mountain. A tall golden chedi stands still before your eyes while devout Buddhists walk circling it for several times. 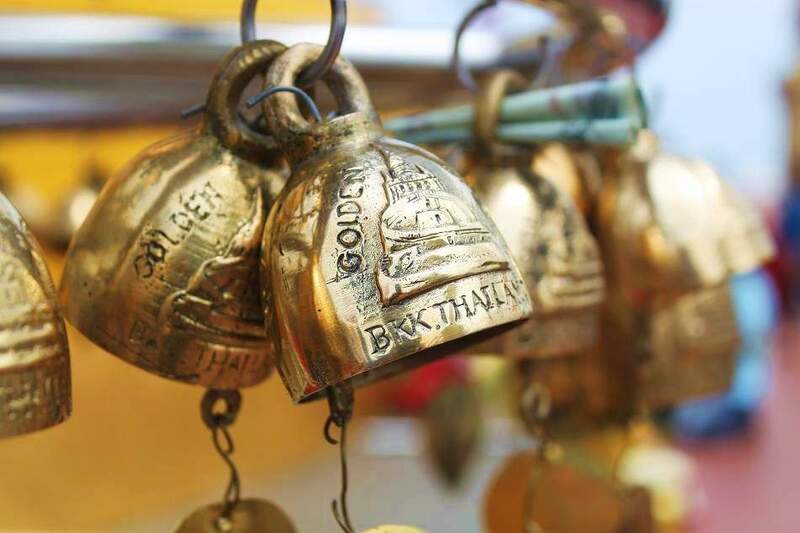 Around the chedi, probably hundreds of small bells with writings (wishes I guess) are hung. You can also see 360° view of Bangkok from here. Well, Golden Mountain does not offer glittering ornaments or giant Buddha statue. However it has the calm atmosphere which probably many people are looking for.